Recorded Live at Boarding House, San Francisco, USA - 1979 (The Exact Date Is Not Known). Soundboard / FM :: Bootleg LP :: Lossless FLAC. Files: 15.:: Size: 293.93 MB (flac). 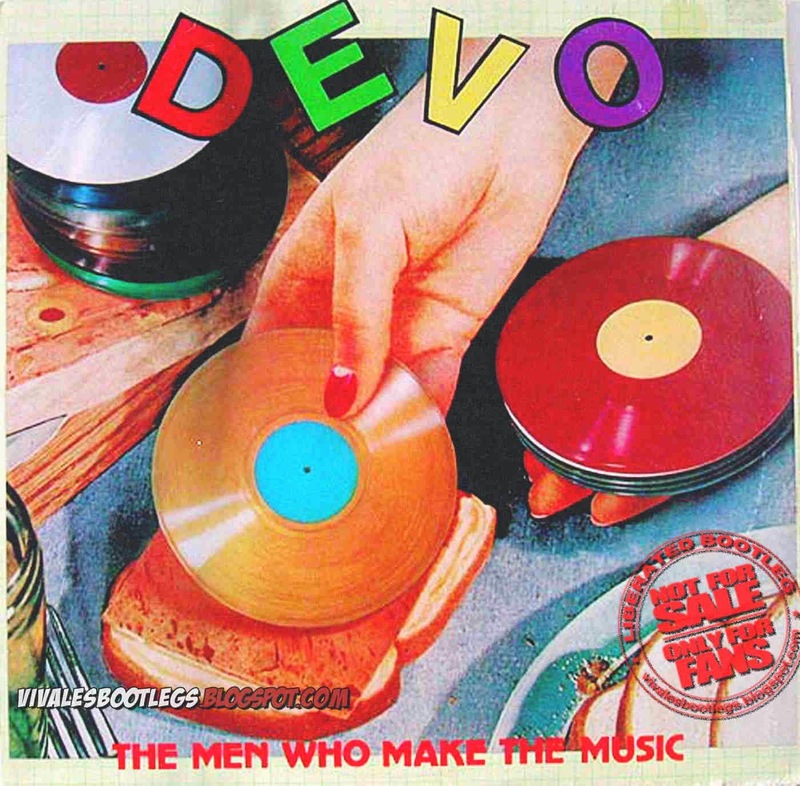 Personnel: Gerald Casale – bass, vocals, bass synthesizer / Mark Mothersbaugh – synthesizers, vocals, guitar / Bob Mothersbaugh – guitar, vocals / Bob Casale – guitar, keyboards, backing vocals / Alan Myers – drums. of 1st Lp of Bootleg. 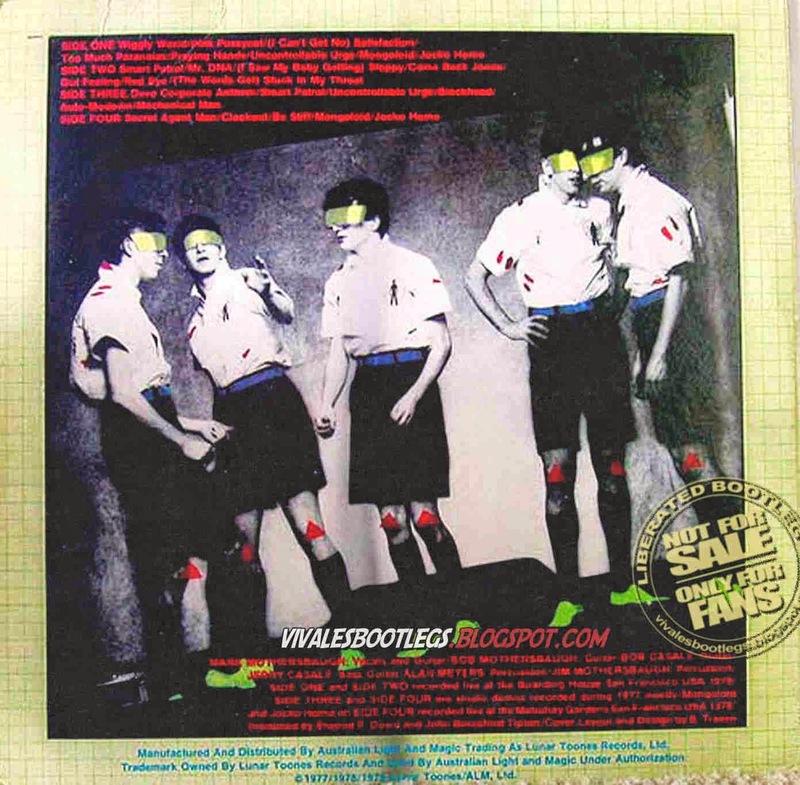 Complete info about bootleg: Side One and Side Two recorded live at the Boarding House San Francisco USA 1979 - Side Three and Side Four are studio demos recorded during 1977 mostly - Mongoloid and Jocko Homo on Side Four recorded live at the Mabuhay Gardens San Francisco USA 1978 - Side Three and Four not included. Rec. Info: bootleg LP -> transfer via Thorens TD 146 + Magix Music Cleaning Lab to harddisk -> Magix Music Cleaning Lab (remaster/edit) -> FLAC (44,1 kHz, 16 Bit, Stereo) - - Ex- sound, no EQ was made. The only things I made is to correct some sound levels and remove most of the clicks. This bootleg and/or this show was never on dime but it's a phantastic show and full of power. It sounds as if from a FM or SBD source. I could not find the exact date of this show in the web, maybe someone can help. Copies of cover and back side attached. (from the original info file by Stacheleber). Good to see you`re back!